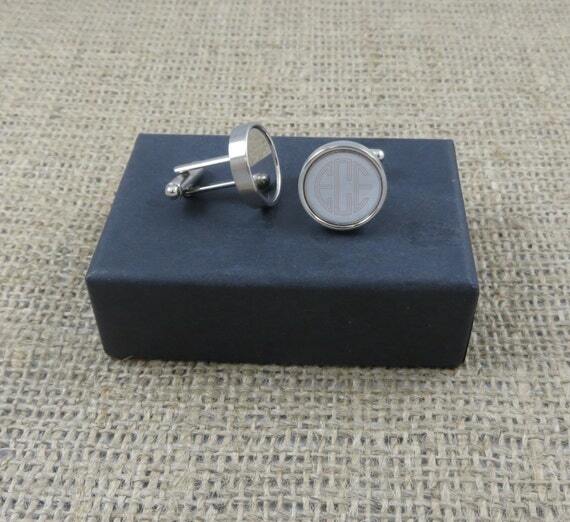 These round silver-toned monogrammed cuff links measure 5/8" (diameter) by 1" in length. Cuff links come complete with gift box. 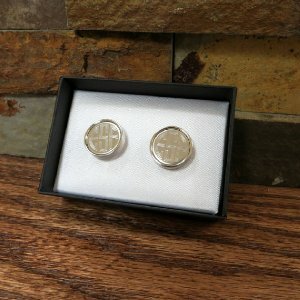 The personalized cuff links are high quality and makes great personalized groomsmen gifts or gifts for men.